The ‘driveaway’ truck market is set to become even more important in 2018, as the UK’s major manufacturers continue to add new vehicles to their driveaway ranges. In 2017, tipper, dropside and flatbed trucks accounted for over half of all 3.5 tonne chassis cab vehicles registered, which shows the high demand for this type of truck body. What is a ‘driveaway’ truck? What makes a pre-bodied vehicle a better option? What vehicles are included in the Isuzu driveaway range? Traditionally, trucks are supplied by a dealer as a ‘chassis cab’. A body designed to the customer’s requirements is then fitted at a later date. This means that the delivery time (between placing an order and receiving the completed vehicle) can often run to several months. This can be a frustrating and costly delay, especially if your new truck is needed urgently due to a new contract or as a replacement for an older vehicle. Extended lead times with the bodybuilder are not uncommon due to high levels of demand, especially during busy periods. Why are pre-bodied vehicles a great choice for most customers? Pre-bodied vehicles are often ordered in bulk by the manufacturer and built in advance by the bodybuilder, which means you can usually take delivery of your new vehicle within a week or two, rather than waiting months. 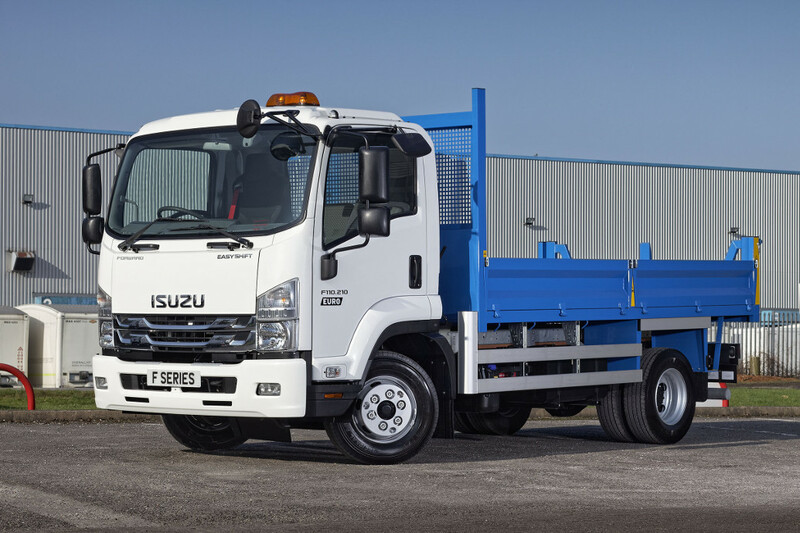 Because tipper and dropside bodies are so popular, truck dealers normally carry a healthy stock of these vehicles, safe in the knowledge that there are customers out there who will need them. Driveaway vehicles offer cost savings and peace of mind for the customer, as the body specifications are specifically selected by the manufacturer in order to meet reliability and durability standards. Choosing a pre-bodied vehicle also means that you’ll have just one point of contact – the dealer – as the body has already been built and fitted to the truck. Any questions about the body will go back to the bodybuilder via the dealer, rather than you having to contact the bodybuilder direct. Which Vehicles Are Included in the Isuzu Driveaway Range? 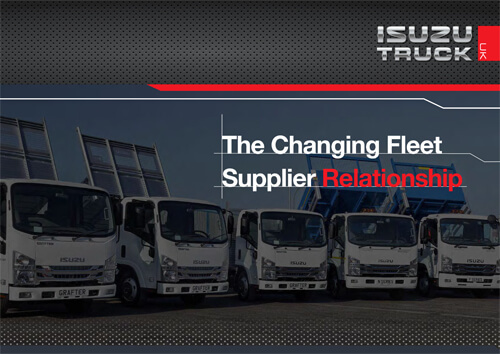 At Isuzu, we have partnered with some of the country’s leading bodybuilders to develop a range of commercial vehicles with body specifications suitable for the majority of the UK market. At 3.5 tonnes, we have both single and twin rear wheel tippers and Dropsiders, which are particularly popular with construction and landscape gardening companies. The new Grafter Green is our lightest ever 3.5t truck, meaning that our driveaway 3.5t Grafter Green tippers and Dropsiders have even better payload carrying capacity than many other manufacturers. N75.150(E) Dropside and Tipper are both ideal for operating in cities, towns and other urban environments. N75.190(E) Dropside and Tipper are more suited to companies that do more motorway mileage and longer distances. N75.190(E) Box Column, N75.190(E) Box Tuckaway, N75.190(E) Curtainside Tuckaway, which are all suited to companies operating in towns and cities as well as more rural environments. If you would like to find out more about the Isuzu Driveaway truck range, please follow this link or contact us today on 01707 28 29 30.